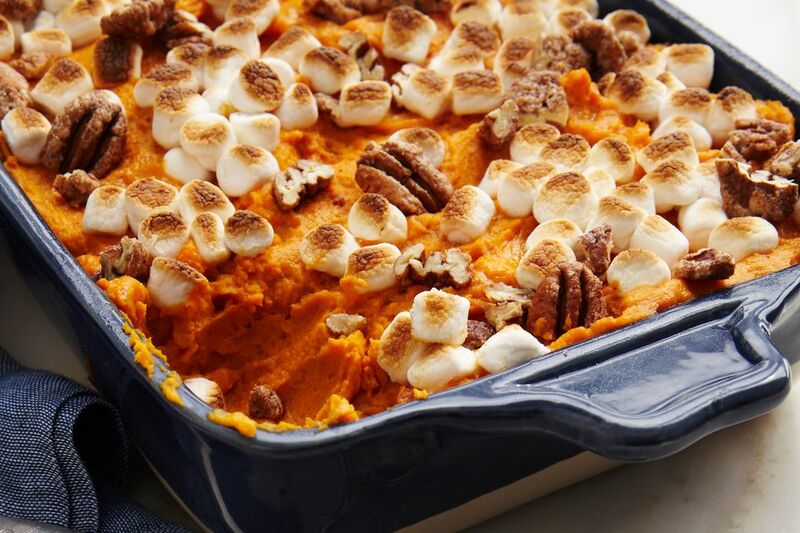 This is an easy and popular sweet potato casserole, topped with broiled marshmallow topping. Combine sweet potatoes, butter, orange juice or milk, salt, and 1/3 cup of the marshmallow creme. Pile the sweet potatoes in a lightly buttered baking dish. Bake at 400° for 25 minutes. Top with miniature marshmallows and brown under broiler for about 4 minutes.